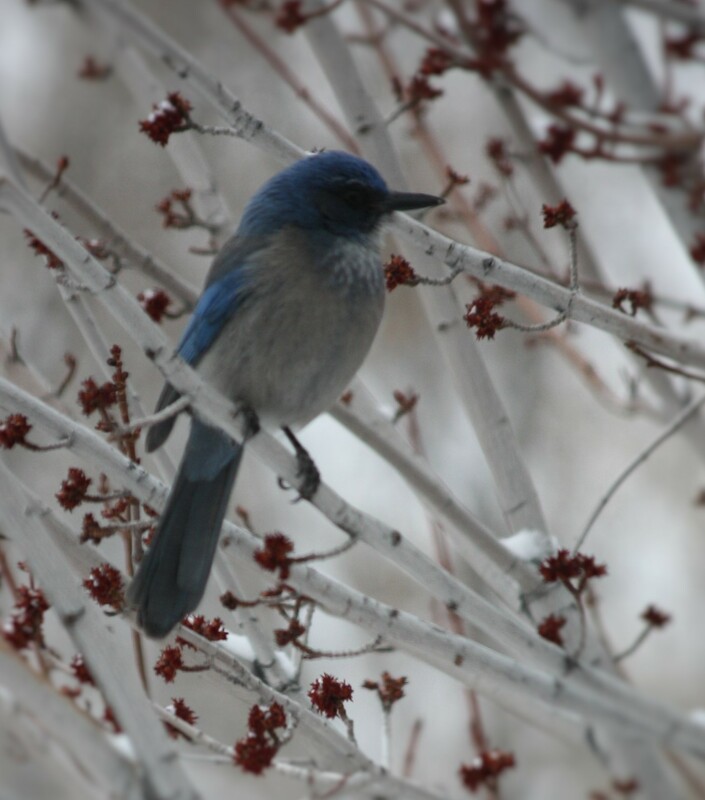 Nice western scrub-jay. And look at those buds on the tree — spring is coming! Just a little longer. It’s a beauty, huh? But the buds kinda freak me out because it seems too early for that. I have lilies pushing up in the garden, too. You have some green, too, I bet. Yeah, our lilacs have just burst their buds. I think it is too much to hope that we don’t get either a hard freeze or a wet snowstorm.